Avoiding change is one thing that is impossible to do. Be flexible and open minded. Whether that is your photographic style or the location of your studio, there are bound to be fundamental as well as consistently small changes to the way you run your business. Change is good. It allows things to refresh and grow in different directions. When you start out there is most likely a firm idea that you are going to be one thing. Maybe a wedding specialist or corporate photographer. This will define your actions. Certainly in the early days, and to pay the bills, it will most likely occur that you will consider most jobs whether they are your chosen direction or not. As long as they get you closer to the original objective it seems like a good idea to grease the wheels in the meantime. it is important to recognise what makes you happy in your work. When your passion for photography starts to fade because of the work you are doing, it is time to change it up. Avoid getting stuck in a rut. This is more likely over a longer period. Especially when you have had success early on. It would be easy to keep going at the coalface, grinding away. When something is not working it’s time to change it. Hard work is fine. To do so for hard work’s sake and not see results is another thing completely. Take a step back. Figure out what’s not right or have a look at what else might be possible. Honesty is the best policy. It may be that your strengths are more suited to a smaller environment. A studio rather than large scale events or weddings. If so, look at shooting products and people in staged surroundings, intimate settings or taking a set up on the road to events where you can define the surroundings and props. Be happy. Easier said than done. If you are not enjoying your work with event organisers or magazine editors then it is important to recognise what makes you happy in your work. When your passion for photography starts to fade because of the work you are doing, it is time to change it up. With your own business, it is easy to become introverted and over-estimate what the outside world thinks. The truth is, you are not bigger than you think and not as many people know about your business than you think. You can always extend your horizons and meet more people. This means getting out of your comfort zone, learning new skills, finding mentors, taking lessons from what you have done so far and applying them to how you move forward. 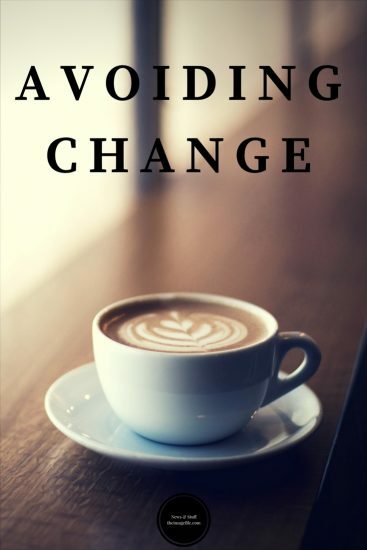 Avoiding change is unavoidable, embrace it, don’t fear it! Fail quickly Business planning Why Client Communication Is So Important Mother’s Day Page Sets 2017!